Prague is a cultural destination unlike any other. An ancient city embracing modern updates, walking through the city will leave you wondering if you have stepped out of a fairy tale or into the future. From food to landmarks, these are a few reasons to visit the historical city. While its namesake never visited it, the wall is a must-see for any visitor of Prague. Since the 1980’s, people have decorated the wall with John Lennon inspired graffiti and lyrics from The Beatles. Prior to 1989 while under communist rule western music was banned and the Czech people could not freely express themselves. 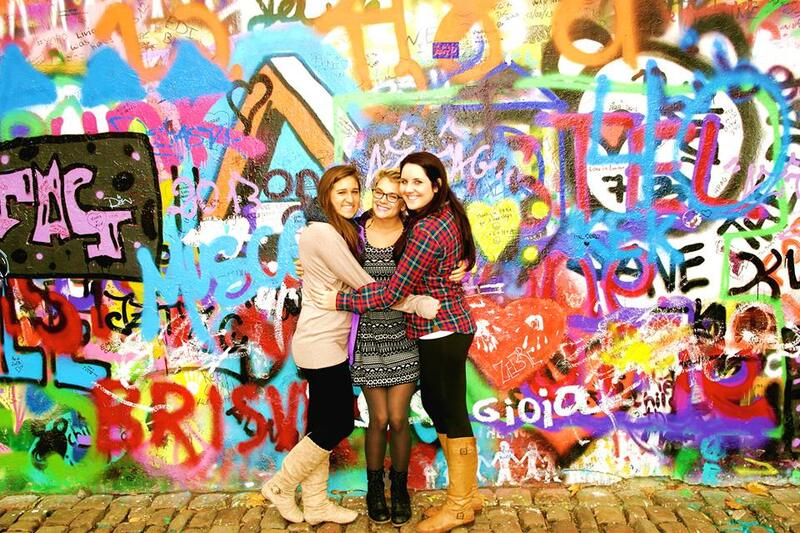 The John Lennon wall became a way for those to paint their feelings on the wall. Today the wall represents a memorial for peace, free-speech and John Lennon’s ideas for peace. Where to find it: It is located at Velkoprevorske Namesti, Mala Strana. To get there from metro station Malostranska (green line A) take trams no. 12, 20, 22, 23. The nearest tram stops to Velkoprevorske Namesti are Malostranske namesti or Hellichova. Karlovy Lazne is not your average club. Each floor is a different theme so be prepared to dance the night away. From dance music to hip hop or the oldies, guests can explore each level and find where to have the most fun. Prague castle is the largest ancient castle in the world encompassing over 70,000 square meters. Overlooking the rest of the city, not only does the castle offer spectacular views but visitors can also explore the various gardens, courtyards and museums of the castles. How to get there: Most people walk up to the castle or catch a tram to the top. You can’t go wrong with bagels or beer in Prague. The Czechs drink more beer (138 liters per citizen) each year than the Irish so they take their beer seriously. Home of Czech Pilsner it’s easy to stop into any bar for a drink that is artisanal and delicious. As for bagels, for a delicious snack made from all natural ingredients try Bohemia Bagel or Just!Bagel. With over 100 spires across the skyline, Prague’s skyline is unlike any other city in the world. The gothic style buildings and churches add to the unique skyline. Street food is fast, easy and delicious and in Prague there is a number of ways to enjoy this trend. Between Trdelnik rolled pasteries, Mulled wine, sausage, fried cheese sandwiches, pizza and donuts the street food movement is growing in popularity throughout the city.